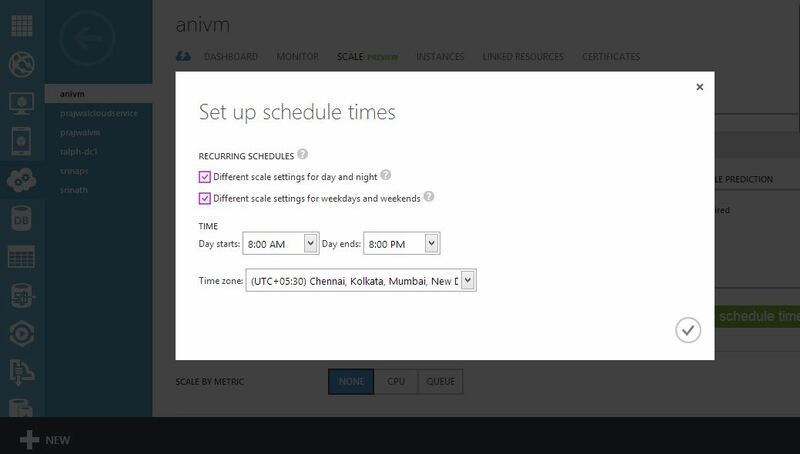 Recently faced few scenarios about handling auto scaling strategies in Windows Azure Virtual Machines. 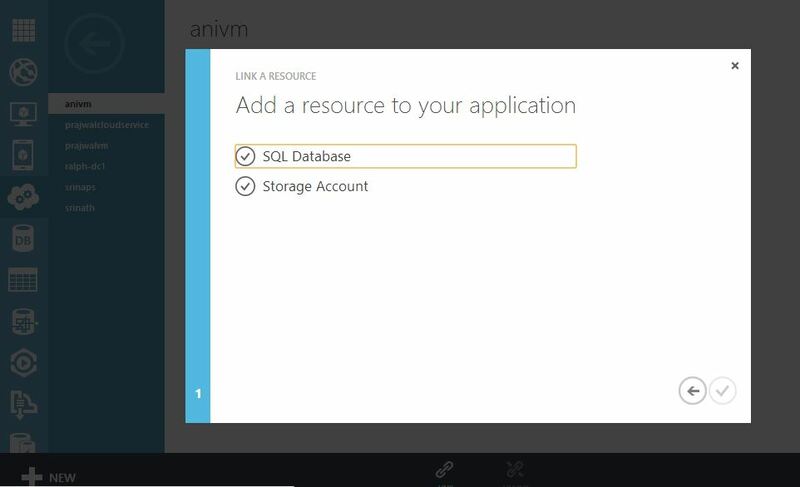 This demo will lap around the autoscaling establishment in virtual machines containing SharePoint 2013 VM/ SQL Server 2012/2014 CTP1 VM/Linux VM. 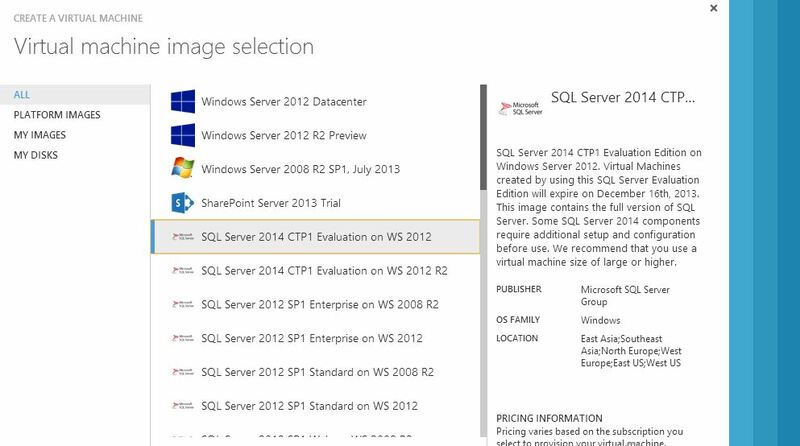 In this demo , I have selected a SQL Server 2014 CTP1 VM with Windows Server 2012 R2 edition in order to made effective auto scaling which contains hdinsight clusters as proof-of concept of SQL server 2014 CTP1 (Big Data Lambda Architecture). 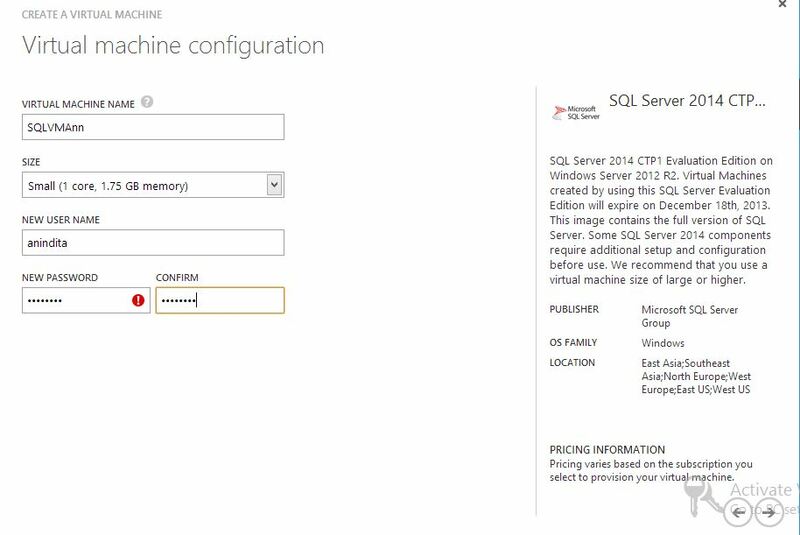 Lets first create the VM , selected from Azure Management portal itself. 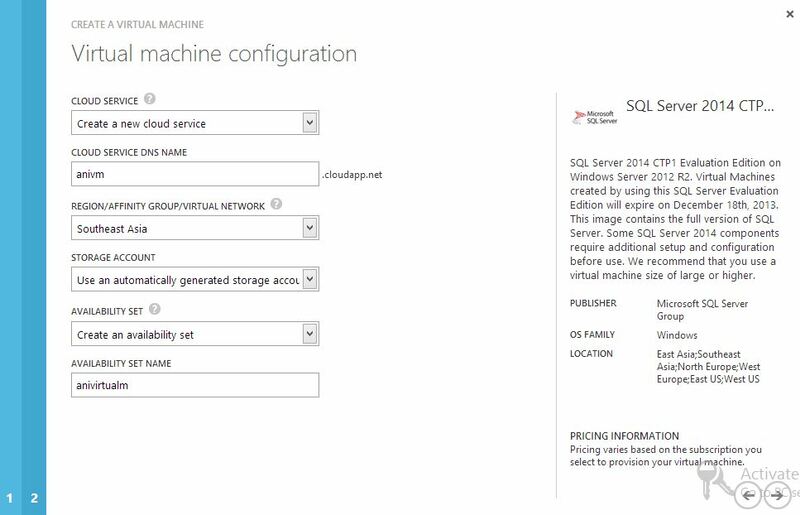 Add Configuration to your name , including choosing availability set. 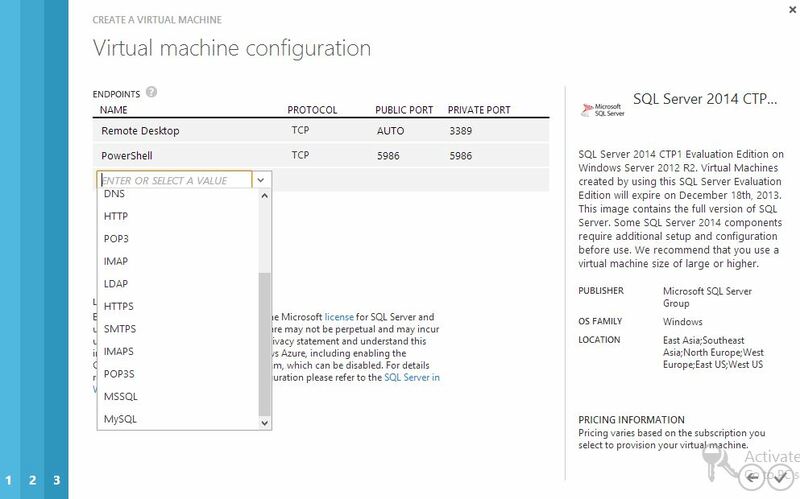 alternatively, you can specify the endpoint of your virtual machine on azure for HTTP/HTTPS/MSSQL etc . After configuring the VM, open the Dashboard from the management portal , select ‘Scale’ tab & specify your schedule settings for Constraints rules. 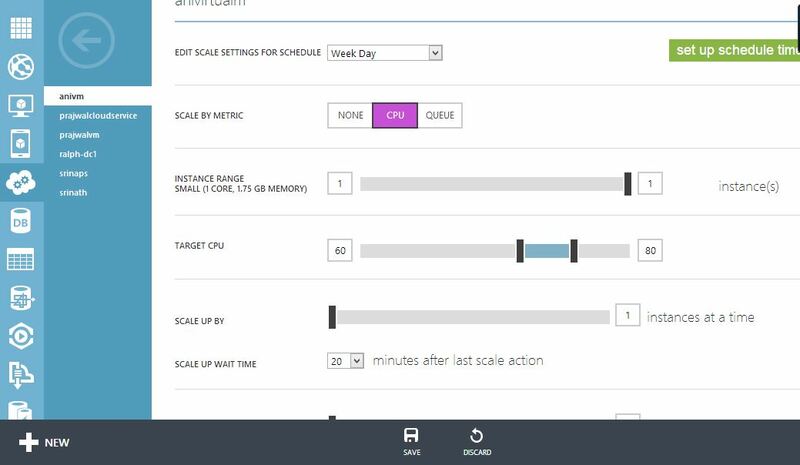 Configure the scale settings based on schedule time Weekday/Weeknight/Weekend based on timezones , by selecting scale metrics (CPU, Queues) & scale up . 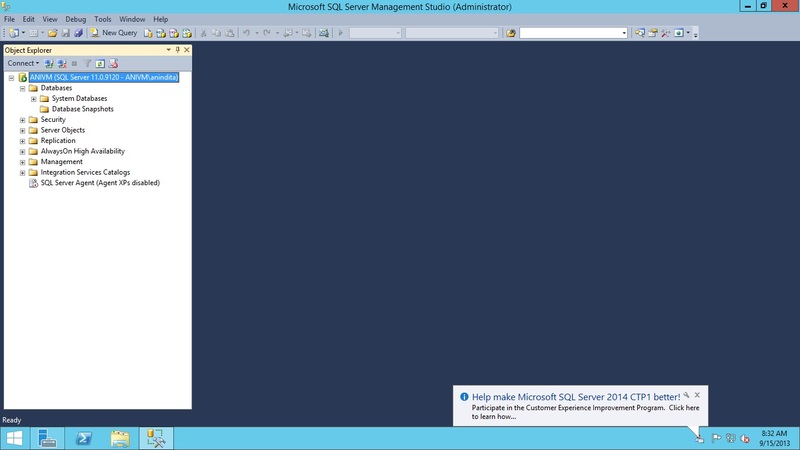 Save your configuration rules in VM availability set. 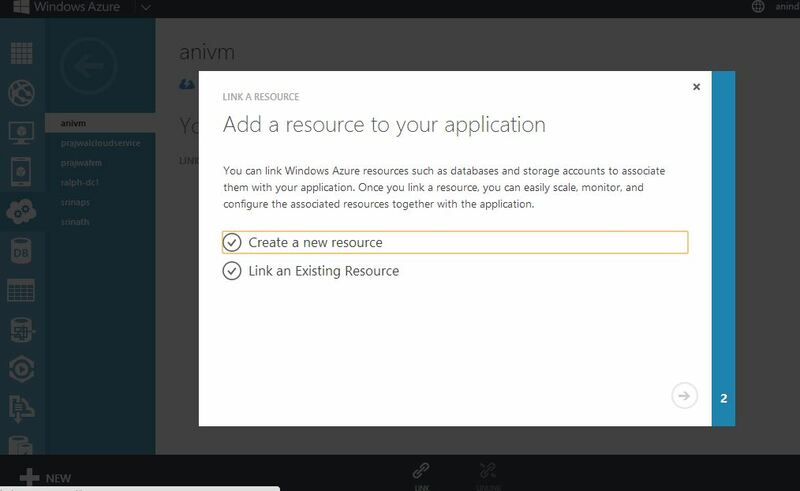 Next, open the dashboard , select the ‘Linked Resources‘ tab , in order to add additional storage account/ SQL database configured for VM. Specify , your storage credential , since it’s always advisable to keep your diagnostic storage account separate from other storage accounts. 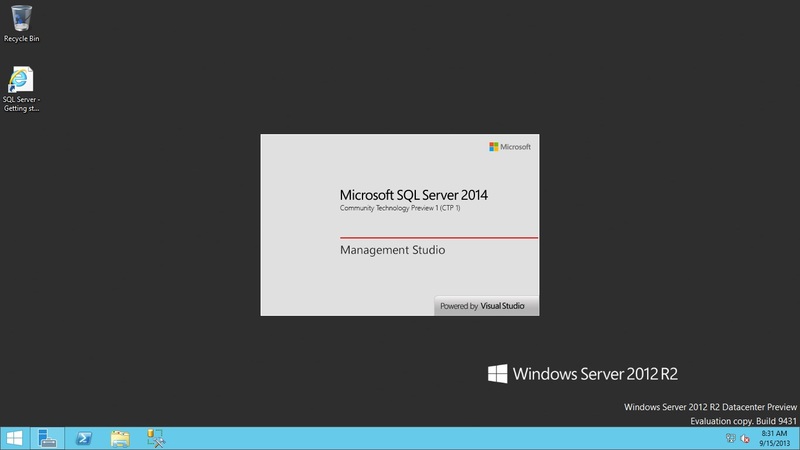 Next , connect to the SQL Server 2014 CTP 1 VM on Windows Server 2012 R2 , Open SSMS 2014 . The screenshot in the post demonstrates autoscaling with lower and upper bounds of 1VM. Autoscaling IaaS instances requires that you first create ALL the instances you want to autoscale up to, add them to an availability set, and then configure autoscaling.This will allow autoscaling up to the created number of instances. 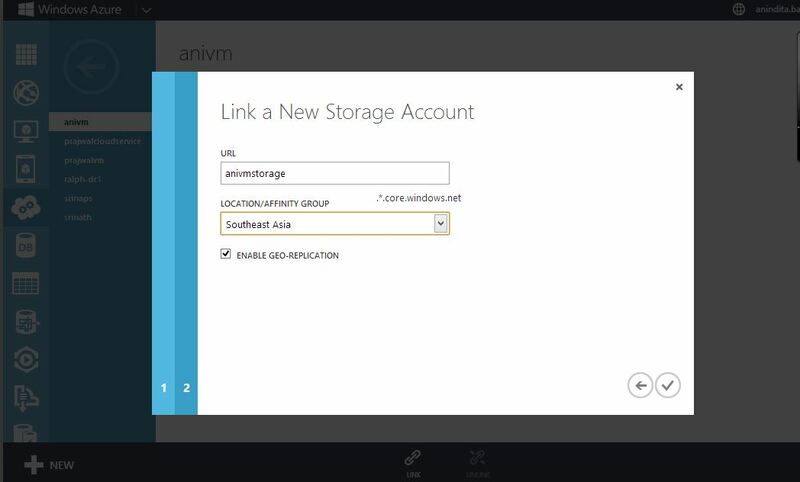 While performing autoscaling actions, Windows Azure will merely start and shutdown these instances. Unlike autoscaling of PaaS, Windows Azure has no way to create fresh IaaS VMs since it has no way to configure them appropriately. This is very nice article, however, I just want to know how the SQL DB data is getting synced between multiple VMs during auto scaling process. in this post, you have used only one instance.